Pregnant family members of active-duty personnel and civilian Defense Department employees assigned to areas affected by the Zika virus will be offered voluntary relocation, a Defense Department official said Monday. Details as to how affected beneficiaries can request a transfer were not released, but a U.S. Southern Command officials said that one expecting service member already has been relocated through a change of station move that was planned before the outbreak. Responding to a growing concern over the "explosive" outbreak of Zika virus in South and Central America as well as the Caribbean, U.S. Southern Command also is identifying ways to "support partner nations," but has not yet received requests for help, DoD spokesman Marine Corps Maj. Adrian Rankine-Galloway said. Meanwhile, DoD researchers at the Uniformed Services University of the Health Sciences, Walter Reed Army Institute of Research and Naval Medical Research units are stepping up efforts to develop vaccines, diagnostic tests and treatments for Zika and related viruses, including dengue and chikungunya, according to DoD officials. DoD spokesman Peter Cook said Thursday that the Pentagon will collaborate with other government agencies as part of the U.S. response, led by the Health and Human Services Department and the Centers for Disease Control and Prevention. "This is an area where the DoD has done some research in the past," Cook said. "I think some of that expertise will be brought to this effort. We'll be supporting HHS in whatever way we can." The mosquito-borne Zika virus, first identified in monkeys in Africa in 1947, was largely confined to Africa and Asia before 2015, when it was first detected in Brazil. Its spread in that country has coincided to a surge in a severe birth defect, microcephaly, in more than 3,800 babies, leading health officials and the State Department to issue travel advisories for those countries for women who are pregnant or might become pregnant. Zika, a virus transmitted through mosquito bites, is affecting multiple countries in Latin America, and is expected to spread to the U.S. 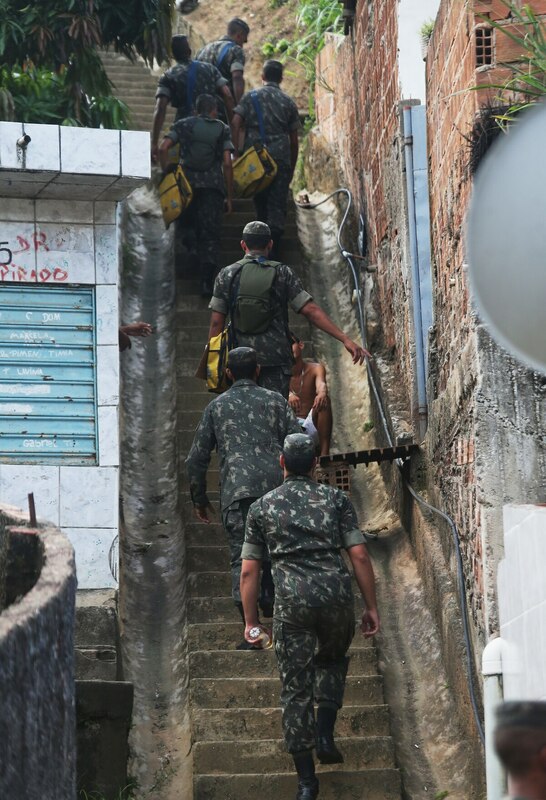 The spread of Zika also has coincided with an increase in Brazil of Guillain-Barre syndrome, an autoimmune disease that can cause muscle weakness and paralysis. The World Health Organization has declared the outbreak a public health emergency, estimating that more than 4 million people may be infected by the end of the year. On Monday, a WHO advisory panel also said that the link between Zika and microencephaly is "strongly suspected." The Defense Department has maintained a robust tropical disease research program since the Spanish American War, with interest in mosquito-borne diseases such as malaria and dengue as well as rare illnesses that have no cure, like Ebola and Marburg virus. Navy Capt. Kyle Petersen, a USUHS professor who recently commanded Naval Medical Research Unit 6 in Lima, Peru, said the Pentagon's interest in "neglected tropical diseases" is important for military readiness. "DoD traditionally targets [these diseases] that aren't of high interest to pharmaceutical companies because our troops go into tropical countries. We want to make sure they can do their jobs, whether it's for a humanitarian mission or operations," Petersen said. An Aedes Aegypti mosquito is photographed on human skin in a lab of the International Training and Medical Research Training Center on Monday in Cali, Colombia. CIDEIM scientists are studying the genetics and biology of the Aedes Aegypti mosquito, which transmits the Zika, Chikungunya, Dengue and Yellow Fever viruses, to control their reproduction and resistance to insecticides. Malaria is the most widespread and deadly mosquito-borne disease. But DoD researchers also have been heavily targeting dengue and chikungunya, which are related to Zika. But until the alarming increase in birth defects in Brazil, Zika largely flew under the research radar, Petersen said. "I would say there is only 148 papers in the medical literature about this virus," Petersen said. "We used to call it chikungunya light." No more, however. Last week, President Obama met with CDC Director Dr. Thomas Frieden and health and national security officials to discuss Zika's potential spread. Navy Capt. 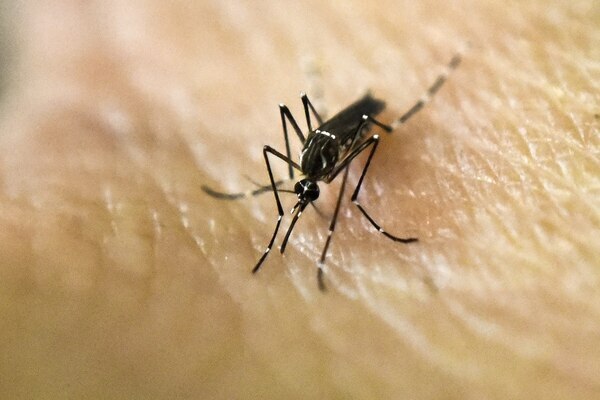 Tim Burgess, deputy director of the Infectious Disease Clinical Research Program at USUHS, said the new emphasis on Zika will contribute to a larger understanding — and hopefully a vaccine or cure — for it as well as dengue and chikungunya. "Colleagues at Naval Medical Research and WRAIR are developing diagnostic tests that can be used more rapidly than what is being used currently," Burgess said. Zika is caused by the day-biting mosquito A aegypti, the same mosquito that is capable of transmitting yellow fever. Rankine-Galloway said the U.S. military services are not making any changes to exercises, training or deployments related to the outbreak but are continuing to stress protective measures for personnel, to include using insect repellent, wearing long sleeves and trousers, wearing clothes treated with Premetherin, removing standing water and, where possible, remaining indoors in air-conditioned or screened areas. "Wear your bug repellent. Wear DEET. If you are going to the tropics, apply it liberally," he said. According to the CDC, 22 countries in the Western Hemisphere have reported cases of Zika. The country or territory with the largest population of U.S. troops and family members is Puerto Rico. The Defense Department has 2,748 female employees — active duty, reserve, Guard and civilian — assigned to the affected regions, with 96 percent of those serving in Puerto Rico or the U.S. Virgin Islands.